Joan, thank you so much for your comment and vote! Thank you, Sergey, for your comments and vote! 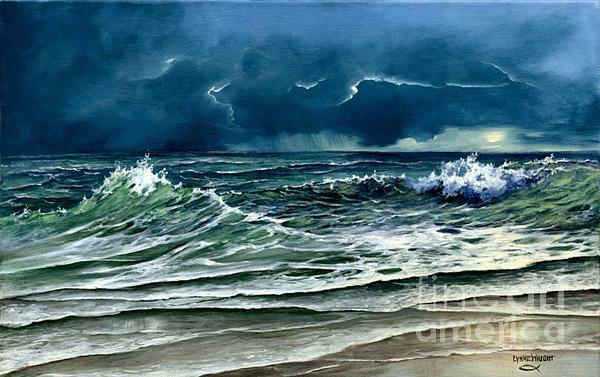 Dramatic painting - love the blue and green combination. Great sea water and the light on the sand is wonderful! Awesome painting ~ so much energy!!! Gorgeous work!! Thanks so much, Elizabeth! I appreciate your encouraging comment! 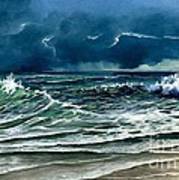 Wonderful storm at sea�.you've done a fantastic job! Thank you, Avis, I really appreciate your comments! 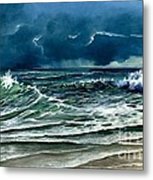 Wonderful stormy image in your Oil Painting! Thanks, Eunice, I appreciate your taking time to view my work! Thank you, Cireena, your very encouraging comments mean the world! Lynne you really created something beautiful and powerful, amazing control of your medium water, sky,wet sand perfection. Susan, your comments are so encouraging and deeply appreciated! Thanks so much, Stephen, I appreciate your kind comment! Thank you Julie for featuring this in 'Impressionists of the 21st Century'. Thank you Ella for featuring this in 'Nature Wildlife Sunsets and Sunrises'. Translucent light shines through lashing waves in this haunting seascape showing the beauty and power of a coastal storm. A magnificent dance of nature. This painting was inspired by a photo from a friend who lives on the Yucatan Peninsula in Mexico. There are frequent storms in this area, which lend compelling drama to an already beautiful place. She is a prolific photographer and has generously supplied me with ample subject material. 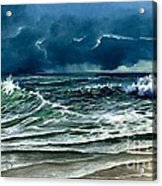 Having lived much of my life on the Pacific Coast, I spent countless hours studying the moods of the sea and the constant mesmerizing movement of the water. Since moving to the Midwest, I've come to deeply appreciate the creation of rural landscapes and other gifts of nature. I find joy in translating both of these worlds onto canvas.